Simply adorable custom built log cabin. 1+ bedroom with 3/4 bath, open floor plan with main level living and vaulted ceilings. The cabin offers the sought after "up north" feel with all the hand picked tongue and groove. 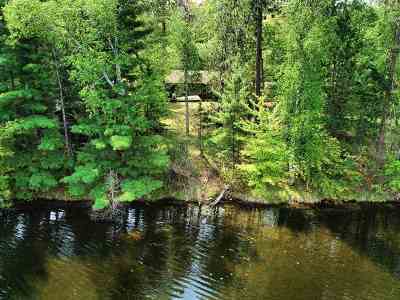 Situated on a very gradual level lot with 100 ft. of north facing lakeshore. The detached single stall garage is perfect for the toys!